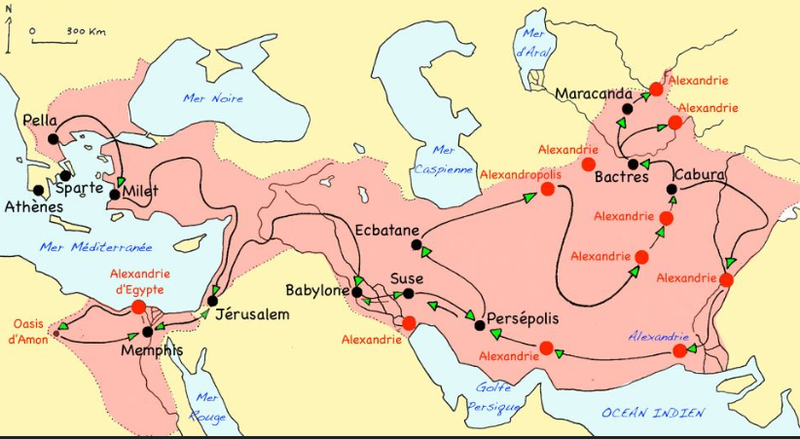 GEOGRAPHY - Students learn about the conquests of Alexander the Great. 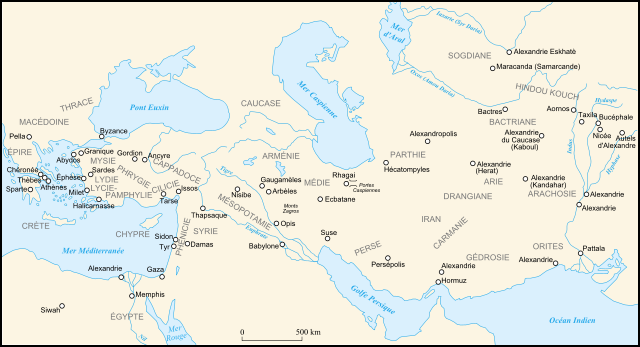 seventy cities, military garrisons and defensive outposts. experience. 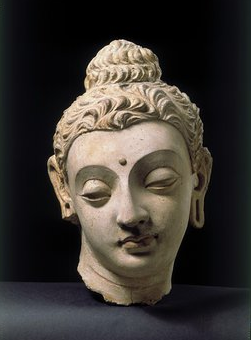 For purposes of this unit, focus on architecture and sculpture. Review the characteristics of Greek architecture. 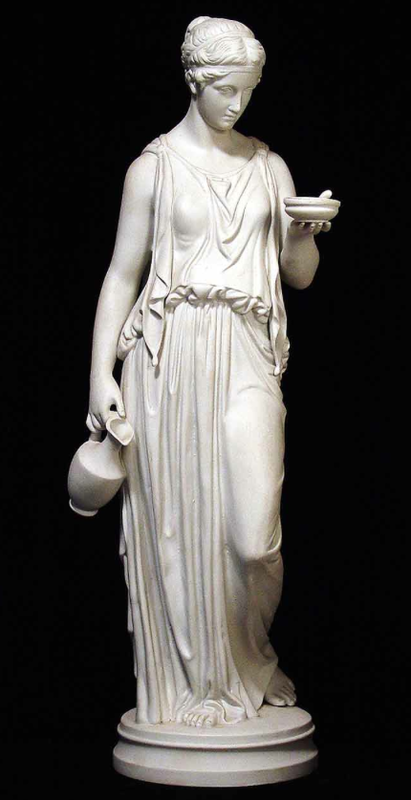 Review the characteristics of Greek classical sculpture. • highly realistic form that idealizes the human body while using exact proportions. • standing figures display weight bearing on one leg creating naturalism and fluidity. • facial features are also idealized with an emphasis on beauty. • draped clothing creates elegant lines and adds form to the figure. 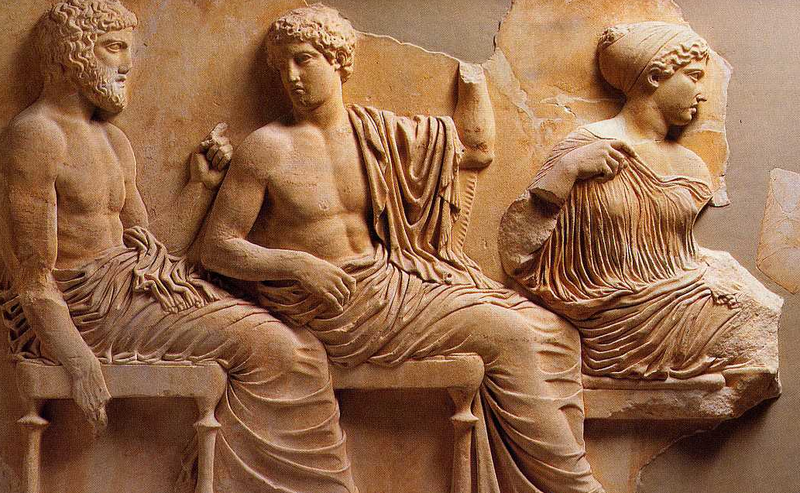 Hellenistic Architecture and Art - Examine the spread of Greek artistic style. there are public buildings, businesses, and homes that have Greek columns and pediments. • Ask students to describe their observations. Why do we use the classical Greek architectural style in our public buildings? • How are these buildings different than the original Greek buildings? To understand these ideas, lead students in a discussion of fashion or music "styles." How do we see an "amalgam" or "hybridization" of any style?